On 8 March the world celebrated International Women’s Day. So it seemed only right that for this months staff profile I introduce you to one of the lovely ladies in our midst – Intern Quỳnh Anh Vũ. Known to all of us as Anh – I can say without a doubt she brings an energetic and youthful vibe to our office. Probably not surprising given she’s the youngest one here at the moment! We actually had the chance to meet her when she applied for a short two week internship last year for some market research deliverables. 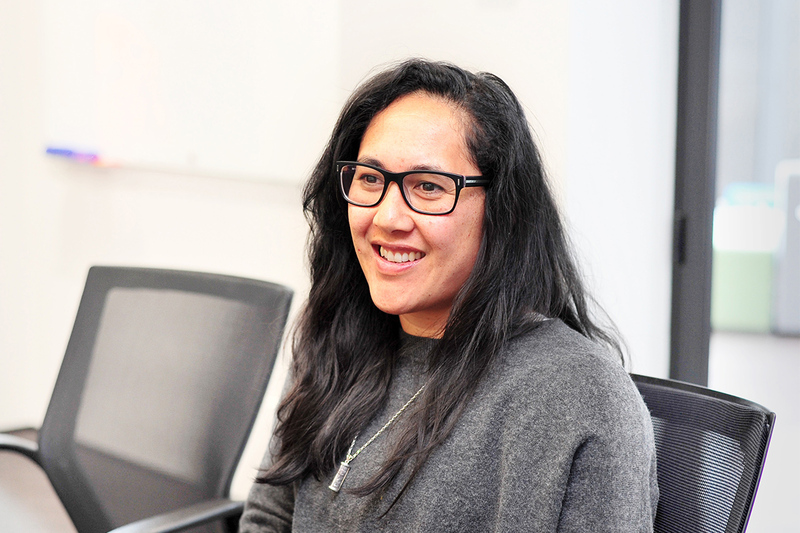 At the time she was a student at the University of Auckland doing a Bachelor of Commerce, International Business and Management. Now freshly graduated, it’s great to have her back with us again for a longer period of time! 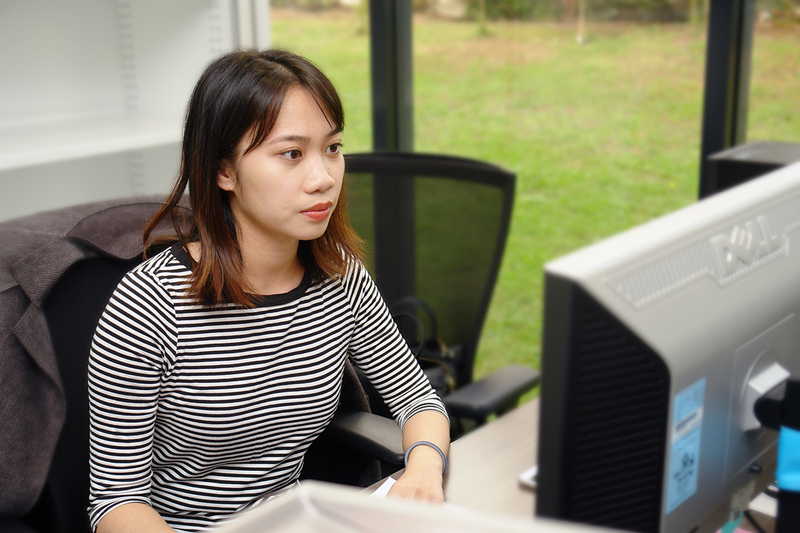 Member Services & Support Intern Quỳnh Anh Vũ. While here, we’ll be tapping into Ahn’s keen eye for detail. She’ll be helping our Membership Services and Support team to transfer all of our membership data to our newly updated system. As well as transfer our resources into our digital library. So Anh, tell us a bit about yourself. I’m actually from Vietnam. My family immigrated to New Zealand around six years ago when I was around 17 years old. At the time, we didn’t have any friends or family here, but now – we’ve had many of them follow us over! During my schooling back in Vietnam I learnt how to speak English from the age of 10 – so I think the transition to here wasn’t too bad. I actually really enjoy learning languages and pick them up quite well. In fact – I also speak Italian and a bit of French and Spanish! You’ve just finished studying, how has that been? Honestly it’s great to be out working! I’ve only just recently finished my studies and am entering into the working world. And while I haven’t had any significant achievements yet in my career, I’m excited to conquer one soon! I can say that I like the knowledge I’ve gained from studying. I feel like the subjects I studied are quite theory-heavy and less interactive than other disciplines. Despite that, I really loved how I was able to have an overview of what the concepts were about, because the theories were always condensed into one place. How have you found your experience with us so far? I found out about HERA through my University’s job portal. And, having worked here for a while now I can say I’ve found out that heavy engineering isn’t as boring as I thought it would be! In fact, the team has been very warm and welcoming. When I first started I was quiet, but after a while I’ve really settled in and feel close to everyone here. The team is small – but the best thing is it’s so diverse. I think because of the expertise required for the role, most people at HERA are more mature. But culturally, I like that it’s so different. It is a more male dominated environment. But, I’d say that professionally I’m not too intimidated by that. If anything, it’s just a little harder when making small talk – like asking their opinions about my outfit! Ha! For my career, it’s been great to have the chance to work at HERA again. It’s meant that I’ve been exposed to various departments here. I feel like this allows me to learn more about HERA and test out where my skill set can best fit. What are your perceptions of the metals industry in New Zealand? I’m fairly new so it’s hard to give my perspective on the NZ metals industry. But from news and policies (especially in trade), the industry looks like it’s thriving! I think to attract younger people to choose a career in research or the metals industry, you need to better show the amazing outcomes of construction projects. Show us that there is more to metals than beams and poles – but things like sculptures, amusement part rides or similar. At HERA we pride ourselves as being a catalyst for innovation for our members. What does that mean to you? Newness and (sometimes) uncertainty and hesitation. But exciting at the same time! This is such a typical job interview question! I’m happy working here at HERA, but in a years time I’d really like to see myself working full time at a great new job that I love. So maybe for a product that I’m really passionate about or working remotely while traveling around the world! I’m just so inspired by the peers around me so I just want to get out there and experience everything. As long as my family and I are safe and healthy that’s all that really matters. Global warming! We’ve got to do something about that. Interested in an internship at HERA? For us, it’s always hard to identify what internships we may have available – as our research is always evolving. That’s why we suggest you register your interest so that if something comes up that suits your capability we have you on file to contact. Keep in mind that while we take on students both here in New Zealand and abroad, we expect applicants have a good communication level of English and proficiency to deliver reports in English as well. And, for those travelling from abroad – it’s important you obtain the correct visa’s to do an internship prior to coming to New Zealand. Due to the nature of our research we also ask all potential candidates to provide a minimum of three to six months commitment to our programs.